Apollo Creed was a good man and provided well for his wife and family. But like many such men he had feet of clay. Apollo Creed had an affair with a woman who, after his death gave birth to Adonis Johnson (Michael B. Jordan). Adonis' mother dies when he's young. He's taken in by Creed's wife (Phylicia Rashad). Although Adonis, with few exceptions, has had a solidly middle class even upper class life and has a good job he wants more. The Los Angeles based Adonis fights in Mexican boxing matches, pouring all of his fury and anger into not having had a father into the ring. He's good. In fact Adonis is so good that he thinks he can fight professionally in America. He bullies/shames family friend and boxing trainer Tony Evers (Wood Harris) into letting him spar with some of the professional fighters at Evers' gym. Evers thinks this is a very bad idea. Although Adonis holds his own at first and surprises people with his speed, there's a reason amateurs generally lose to professionals in every arena or discipline. Danny "Stuntman" Wheeler (real life boxer Andre Ward) gets in the ring with Adonis. Danny's speed, strength and smarts are far too much for Adonis to handle. Adonis loses in a quick and decidedly humiliating fashion. Undeterred, if a little worse for the wear, Adonis decides that he wants to go all in on a professional boxing career. He quits his job, has a heart to heart with his stepmother and heads off to Philadelphia. Adonis hopes to convince retired legend Rocky to train him. He thinks Rocky owes him. 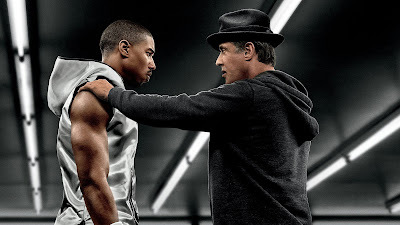 Rocky isn't sure he owes Apollo Creed's son anything other than keeping him away from a lifetime of pain and regret. Rocky's time is past. He knows that. He's unsure he has what it takes to train anyone, particularly his friend's son. Adonis is very convincing though. Meanwhile Adonis is making goo-goo eyes at his neighbor Bianca (Tess Thompson) and learning all about Philadelphia. 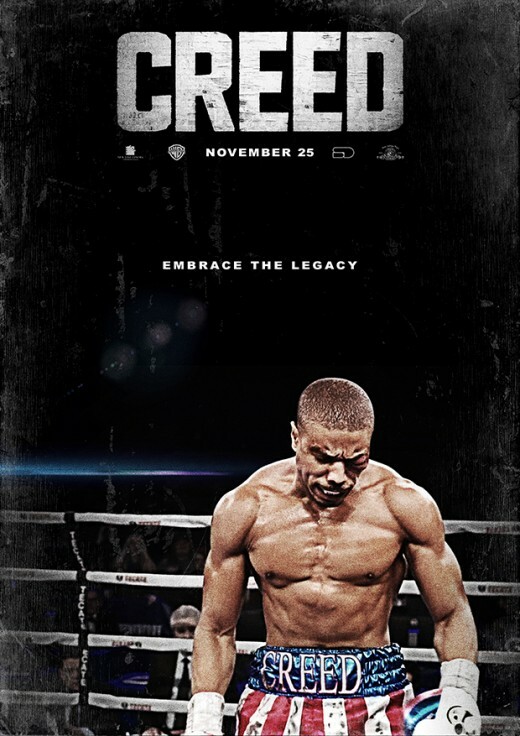 Creed has a lot that's interesting to say about regret, hope, fathers, age, and love, despite being in some ways a remake/reboot of the first Rocky movie. There's a fair amount of time spent in hospitals, which makes sense considering the age of some of the characters. In different ways all of the main characters help each other overcome challenges just as they challenge each other to grow. Occasionally brutal but always unabashedly sentimental, this is one of the better sports movies made. 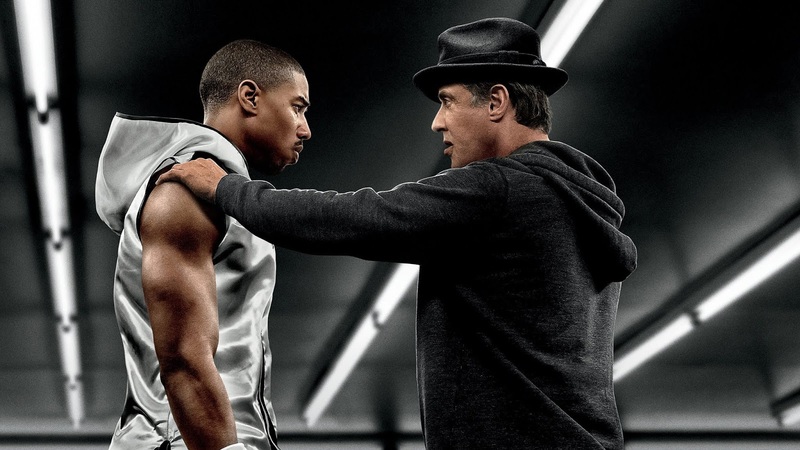 Jordan put in a tremendous amount of work to look and move like a professional boxer, supposedly so much so that some of his real life boxer trainers and fellow actors were impressed.